Right Connection Electrical is a female owned & operated electrical business, with a focus on delivering great service & top-quality jobs all at an affordable price. Right Connection Electrical will get the job done quickly and professionally, without upselling you on things you don’t need. Sally can help you with: New & Existing Home Installations, Renovation work, Rewiring, Switchboard Upgrades, Additional Power Or Lighting Points (Indoors & Outdoors), Installation of New Electrical Equipment, Fault Finding, Phone & Data Points, TV Points & Antennas, Smoke Alarm Installation, Testing & Tagging & more. Marcelle understands your home is not just a place to live, but a space to relax & entertain. It's also your most valuable asset, that can be enlivened from a spacious deck or pergola, a brighter bathroom, or by opening up your floor plan. 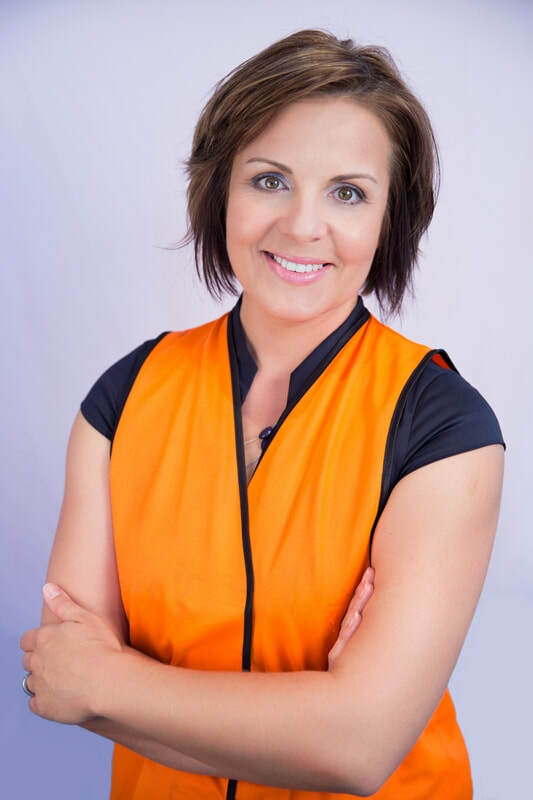 Having built new homes & worked on those over 100 yrs old, Marcelle has a wide range of practical skills & experience when it comes to home renovations & enhancements. She can assist with your design ideas or material choices based on her experience & knowledge, & is happy to work within your budget. Renovations & extensions, decking, pergolas, carports, weatherboards, timber restoration and wood-rot repairs, repairing sash windows, planter boxes & decking bench seats, timber & metal gates, pet doors, timber flooring, installation of doors & windows, bathroom renovations, kitchen upgrades, removal of internal walls & other structural changes, even cubby houses! Check Marcelle's website for more detailed information. 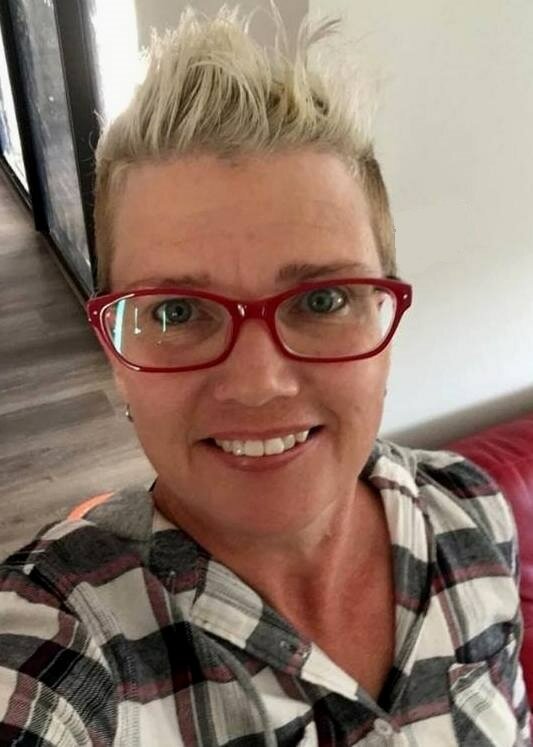 With 15 years combined experience Cherrie’s eye for detail as well as her hands on approach means that she has aspired the knowledge through her work to pass onto her clients, the latest trends & colour schemes with confidence. Cherrie works closely with her clients on a personal level to ensure all their needs are met, from choosing the right colours & wall finishes to the paint application. From start to finish she ensures each of her works are seen to have the same care & attention she would put into her own home. 3D Walls, Wall papering, Stencilling, Murals, Decals, Gold/Silver Leafing, Decorative Window Film, Colour consultancy, Pre sale/rental property presentation, Renovation/Repaints, Internal & External painting, Insurance work, Project Management/Design or Sourcing those special items or materials to make your project amazing! 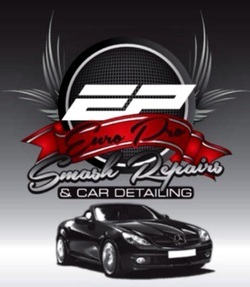 Euro Pro Smash Repairs is a female owned & operated auto repair business. They focus on delivering great service & top-quality jobs, at an affordable price, for all types of vehicles & smash repairs. There are many smash repairers in Melbourne but Euro Pro have the experience, knowledge & service to be one of Victoria's best. They're specialists in Vehicle Smash, Auto or Panel Repairs & happily deal with your Insurance Company when it comes to repairing your car. Imagine feeling comfortable speaking to another woman about your car repairs! That's how you'll feel at Euro Pro. With the majority of their clientele being females, they speak your language!. You'll have the confidence and reassurance of their honesty & reliability, the satisfaction that their service is customer driven & peace of mind knowing that all repairs are fully guaranteed. Who better to leave your vehicle with? Euro Pro was first established back in 1996 by the late Emanuel Azzopardi. After his sudden passing in 2010 his only daughter Anabelle decided to take over her fathers much loved & respected business, & continue to run Euro Pro in his honour. 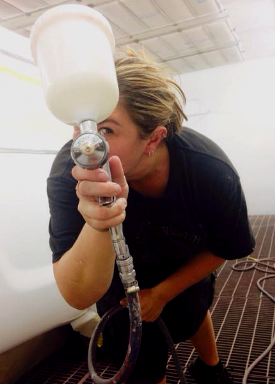 Anabelle became qualified Panel Beater & Spray Painter not too long after she took over the business. 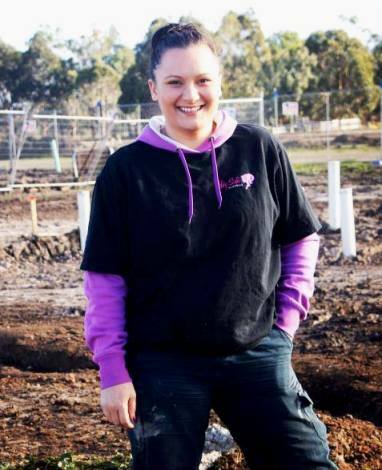 5 years on, upholding his reputation, quality of work & business ethic, Anabelle hopes to have made her dad proud. When it comes to repairs, you cannot compromise on quality! Today’s vehicles & their factory finishes incorporate multiple layers of highly specialised paints & coatings. Euro Pro uses industry leading techniques to ensure that each vehicles paint matches the original manufacturers finish. They use a high quality paint & finishing system, cutting edge technology & repair equipment & tools to facilitate the fastest & best possible repairs. They have the highest levels of customer service & you can even get a quote online. Minor & Major servicing to all makes and models (dirtbikes & cars), motorbike rebuilds and general repairs, cooling and brake system repairs. 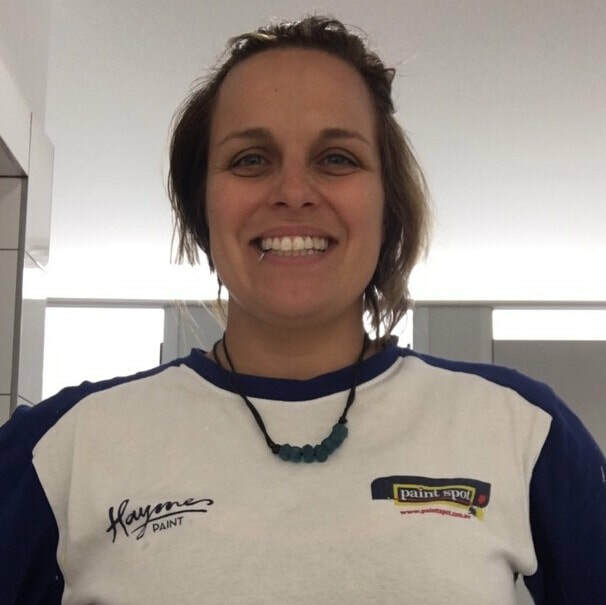 Jac is a fully qualified female mechanic with over 10 years professional experience in both dealerships & local mechanical workshops. 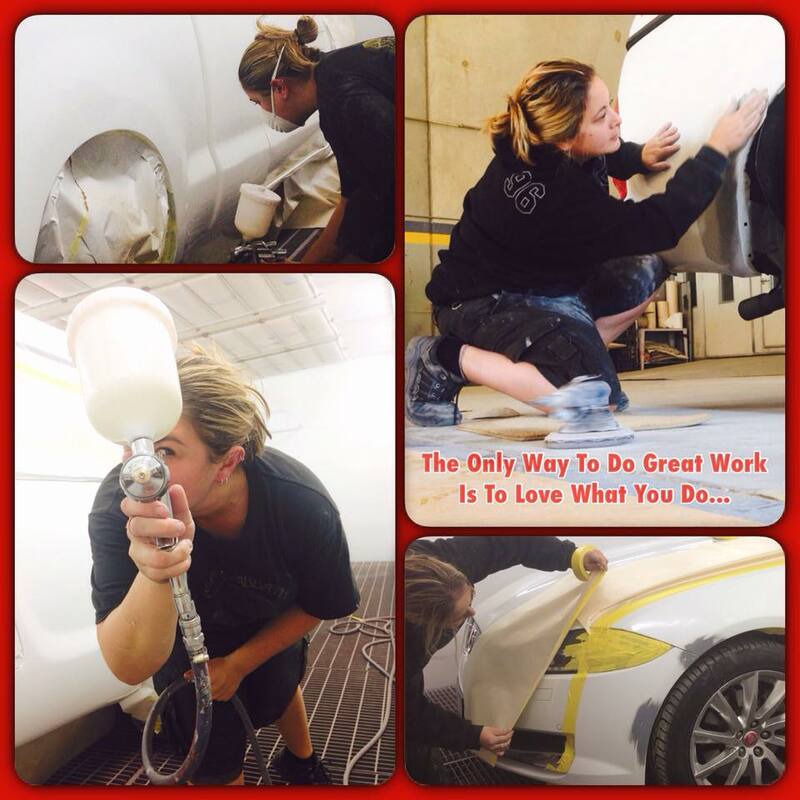 With a passion for cars & motorbikes Jac currently works full time for a local employer, & runs her private business from home to suit those clients needing an after hours/weekend service. Working in a male dominated industry was tough, but with 10 yrs experience, she knows exactly what she is doing & is highly regarded for her work. Jac knows exactly what it’s like when people think you know nothing about mechanical issues, & take advantage of that (at your expense). She’s seen it happen, knows it still happens, but, she is here to change that! Jac promises to provide you with a better & totally honest service. To be that mechanic you can finally trust, be happy to deal with on a regular basis, & someone you’re not afraid to talk to or ask questions. She wants you to be comfortable with your mechanic, while knowing your car is safe to drive, & you won't be overcharged. No job is too big or small & Jac will look at anything from a pw50 to the biggest 4WD. 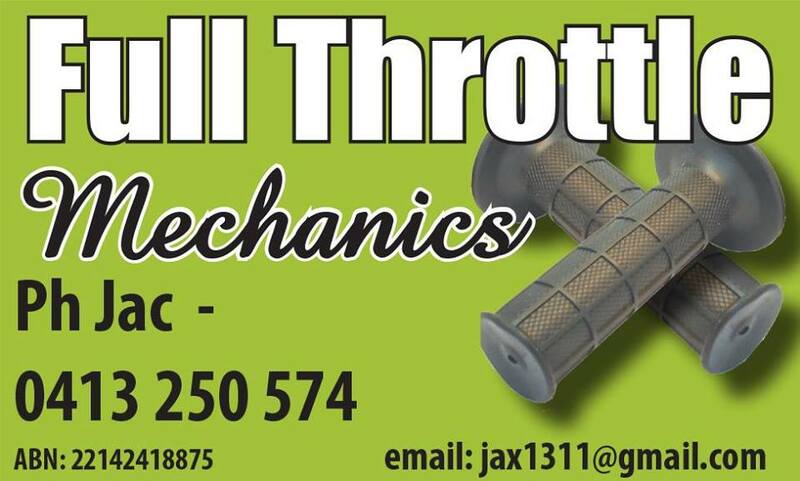 She can do anything mechanical to your Car, Bike, or 4WD & will happily provide you with a free quote. To co﻿﻿ntac﻿﻿t Jac, please either: Phone & leave a message, send a brief text with your details, or email her through Facebook. Jac will get back to you as soon as possible. ﻿Mob:﻿ 0413 250 574 Email: jax1311@gmail.com Website: Coming soon! Stone walls would be the most popular and perhaps best known uses of outdoor stonework and can include outdoor living areas, garden walls, seats of stone, fire pits, garden stone bowls and one off hand carved sculptural stone features from 3D to stunning stone relief. 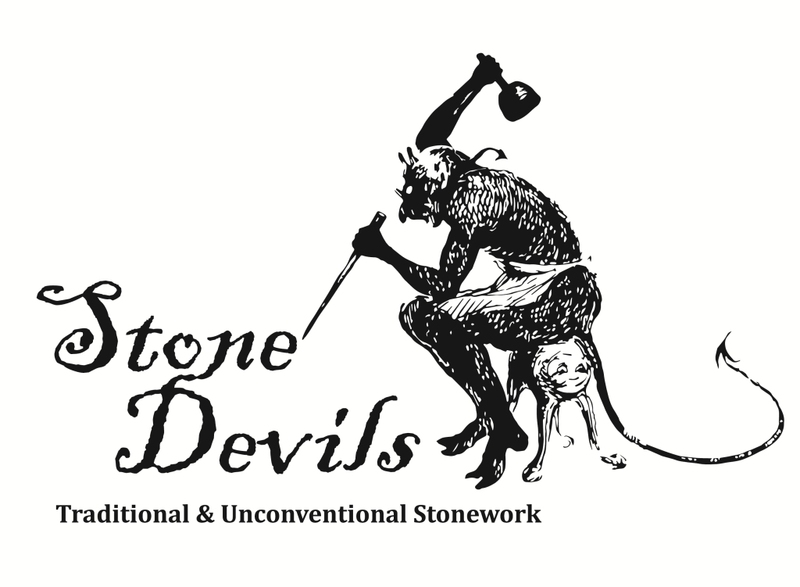 Creating something that makes visitors gasp is a true pleasure for Stone Devils. Internal feature walls of stone can be traditional and match a period home or be bold and adventurous. Fireplaces and surrounds of stone also. Mixed media features for the truly adventurous take stone wall features to the level of art. Take an adventurous and truly individual approach to your stone feature. Hand crafted elements in the garden and in the home reflect your sense of style. Although stone lasts a long time it is not eternal. Heritage masonry aims to save stone buildings while being sensitive to the architecture of the building, its history, the type of stone used and the longevity of the building. Stone walls can also be restored or recreated or built to fit with existing stone features. 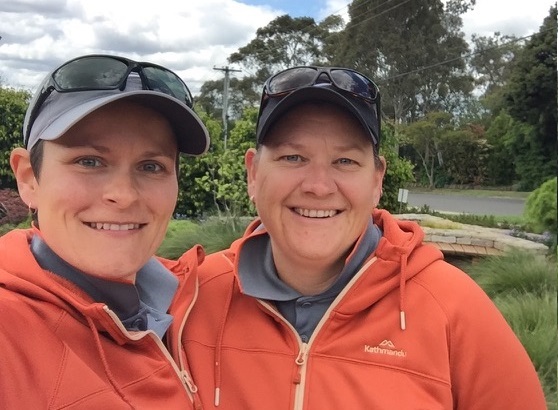 Meg and Holly believe they may be the only female heritage masons in Australia! A fact we are enormously proud of. Member of Stonexus and the Stone Masons Guild community. We operate out of the SE suburbs of Melbourne. Based at Lyndhurst, we will travel up to 100km to cover the Eastern & Southern side of Melbourne, including down to the Mornington Peninsula. AT Garden Spaces is a female owned & operated landscaping business that's been in the industry for over 10 years. We're a unique landscaping business, whose soul purpose is to design & build gardens that help nurture our native wildlife & plant species along with the very souls of our clients. We look at each & every project with fresh eyes & an intuitive mind that lends us to design gardens that will best suit the clients needs & the environments. We use a large selection of native & indigenous plant species along with recycling as much on & off the site, through materials, existing plantings & harnessing renewable resources wherever possible. Simply we build sanctuaries that aid in protecting our environment by working with Mother Nature & not against her. 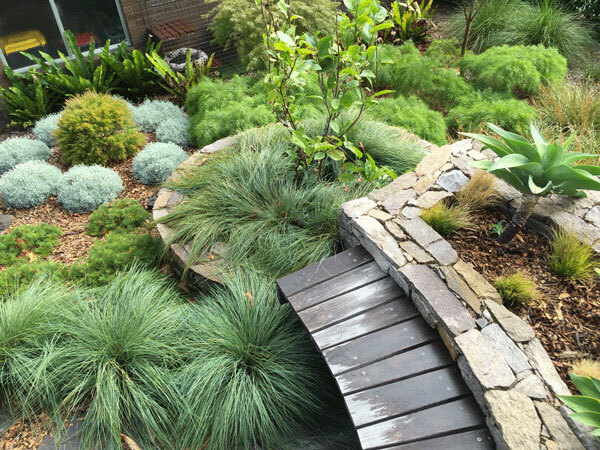 Our gardens are all inspired by our stunning array of Australian landscapes & bush lands, where we study how we can bring that same essence & life back into the homes of our clients. Our goal & philosophy in all this is to return to nature, as we truly believe in the importance of rediscovering our relationship with Mother Nature whilst helping our environment at the same time. 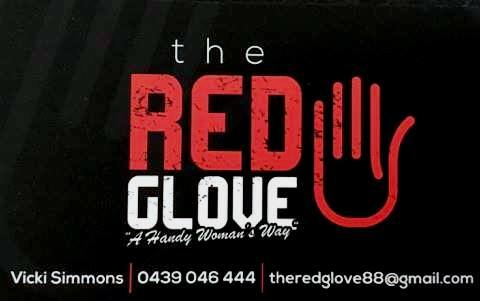 The Red Glove is owned & operated by local female Horticulturalist Vicki Simmons. 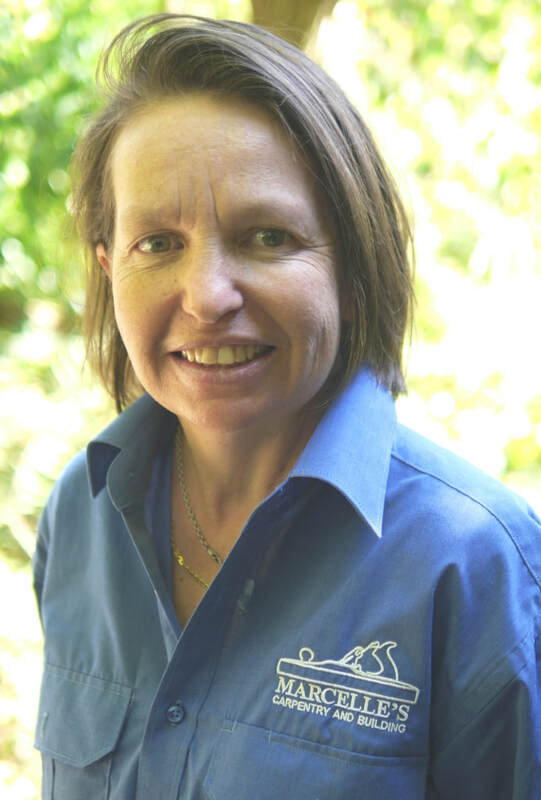 Vicki can help you with all your Gardening & Handywoman tasks, completing them with care, pride & attention to detail. Gardening & Basic Landscaping, Rubbish Removal, Pressure Washing for your House, Pathways or to bring your Decking back to life, (ie: pressure cleaning, sanding and oiling) Shed Cleans, Furniture Restoration, Estate Cleaning, Bond/End of Lease Cleans & lots more! Contact Vicki for an obligation free quote today. For all those odd jobs you need done around the home, with & a woman’s touch! Cert III in Horticulture and Landscape & Construction. D.S.King Gardening is a personalised gardening & maintenance business owned & operated by local lady Dani King. With an associate degree in Environmental Horticulture Dani’s been in the industry for over 15 years, establishing her own business over 5 years ago. Dani's business has grown by providing a personalised touch, with an emphasis on a more natural & environmentally friendly approach, & minimal use of harsh chemicals. This is not only good for the garden, but safer for you, your children & your pets. Dani can help you with all your lawn & garden needs, including soft landscaping, vegie patches as well as your general maintenance requirements. 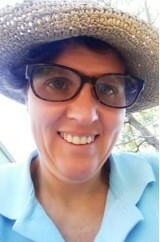 Dani has a love of natives, but is proficient in all plants, has experience in both large & small gardens for the home & business, in both public & private areas. Give Dani a call today to discuss your individual needs. Please feel free to check the gallery/photo's section on our Facebook site for plenty of before & after photos of our work. 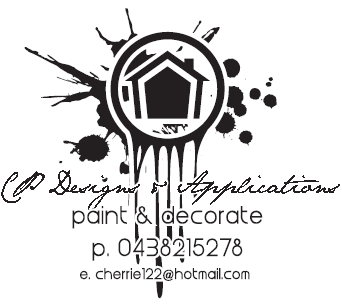 Give us a call or send us an email to discuss your painting needs. Pink Boots Hire is a female owned & operated access hire business, with a focus on conquering cancer from the $10 donated from every hire. Our focus is to provide a reliable on time delivery, exceptionally maintained equipment & a very friendly service with a smile every time you speak with us. This extends from office to the delivery teams. We specialise in scissor lift, knuckle boom & cherry picker hire. We provide to all trades, DIY-ers, industrial & construction industries. Every machine hire & our complete uniform is supporting two causes close to our hearts. Jessica Gilchrist, our founder was diagnosed with cancer in 2015. $10 from every hire is donated directly back to the Olivia Newton-John Cancer & Research Centre which is where Jess was cared for during Chemotherapy & Radiation therapy. The other cause is supported through our Pink Boots. We have partnered with Steel Blue Boots to give cancer the boot. The entire team wear this brand as part of the uniform because $10 from every pair sold goes directly towards breast cancer research. Thank you in advance for helping make a difference to the well-being & lives of people going through cancer, by choosing to hire all your access equipment from Pink Boots Hire. 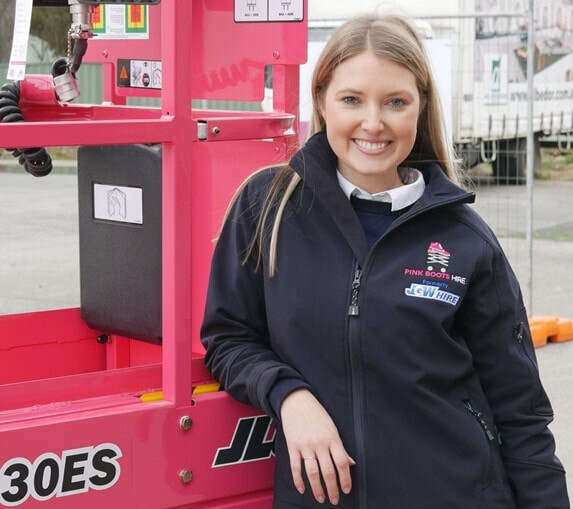 Jess & the team can help you with: Electric & all terrain scissor lifts hire, electric & all terrain knuckle booms hire, cherry picker hire, on-site operator if you don't have the appropriate licenses, trailer hire, forklift hire, delivery & pick up service to & from your job site. Your Favourite Homes is a custom home builder based in South-Eastern surburbs of Melbourne. We do not build on a ’wholesale’ basis but rather tailor each project to suit your requirements. This way you can be proud of your newly built home. The homes we build are a balance of contemporary design with high quality appliances and finishes, and focus on SUSTAINABILITY and PRACTICALITY. Being a woman and being a mum, I believe I know what works from a home maintenance perspective. Being a property investor, I believe I know what’s worth spending money on. That is why every home I build is unique. It is comfortable to live in and cost-effective to run.